A good two weeks have passed between the time I drove the Range Rover Velar and penned this review. In this time, it has grown on me. The vehicle we drove and what you see here, does not give the best impression of the Velar - the grey is quite dull and lacks some of the cosmetic sheen that you can otherwise specify on the options list. I was starting to feel that its platform cousin, the Jaguar F-Pace, feels more desirable. But then I saw a Range Rover Velar late in the night, slowly appearing out of a dark alley, wearing a red color on the body and gloss black on the roof and the wheels. What a sight! It looked sinister and how. If I were to buy one that is exactly how I would like it. The Velar also happens to be one of the few European SUVs I spotted in Fujairah when I was in the Middle East recently, and in typical Range Rover fashion, its sophisticated form looked right at home even with sand dunes and rocky mountains in the backdrop. 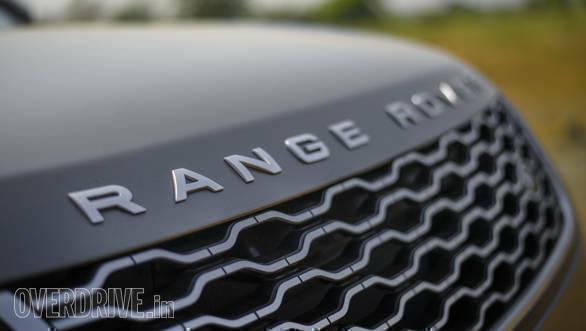 But is it a true-blooded Range Rover? We will come to that later. 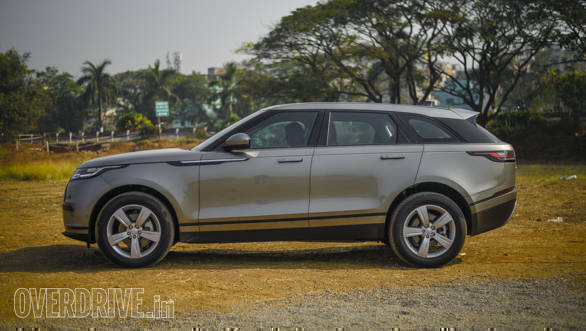 At least in terms of its design, it is in line with the Range Rover lineage and slots right in between the Evoque and the Sport. The F-Pace connection gives it tighter lines than its stablemates and the pinched roofline looks quite unique to the lineage. The headlights and taillights are much sharper than anything you have seen in this stable and make the Velar look more athletic than its siblings. The Jaguar connection is visible again in the flush door-handles, which elevate the aesthetic appeal of this cosmopolitan SUV. The cabin of the Velar feels far more sophisticated than its exterior form. Range Rovers are known to wow their clientele with bespoke craftsmanship and fine upholstery, but this new Rangie is more about gadgets and elements aimed at the more tech-savvy audience. Taking center stage is the Touch Pro Duo system, made up of two vertically stacked high-definition screens. 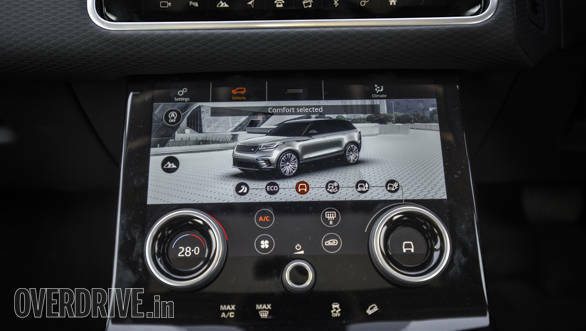 The upper one controls commonly used infotainment functions like audio, telephony and satellite navigation, while the lower screen takes care of the less frequent controls like air-conditioning and driving mode selection. This arrangement is fast becoming common across luxury cars, but Land Rover's user interface is the best I have used so far. A similar system will soon be seen in the new Range Rover Sport too. The front seats are fairly large and nicely bolstered and have eight-way electrical adjustments. The field of view for the driver is large, but the Velar feels more crossover-ish to drive than the typically elevated seating that is offered on the larger Range Rovers. 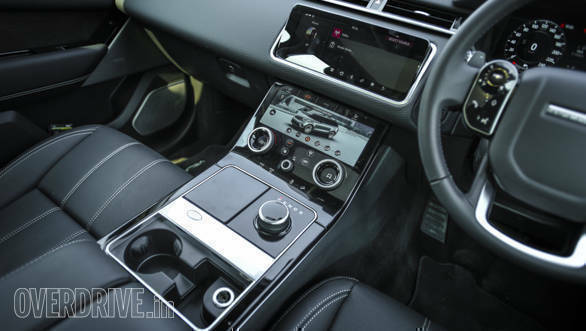 The rear seats have a low H-point to accommodate a decent head and knee room, but unlike typical Range Rovers that give you a roomy view of the surroundings, the Velar, with its pinched roof and high belt-line, make the glasshouse quite narrow for a purist's liking. 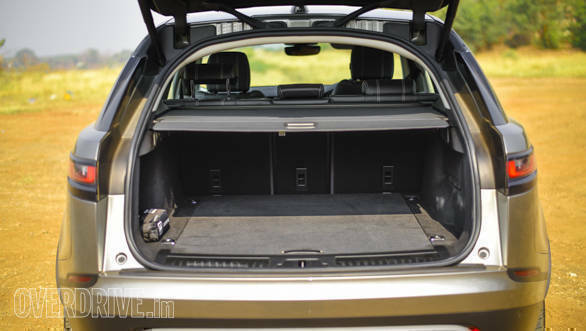 There are enough storage spaces around the car for water bottles and knick-knacks, while the boot space will comfortably accommodate a weekend's worth of luggage for a family of five. 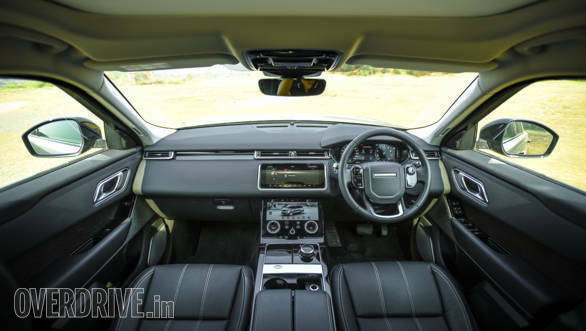 The cabin is plush and its cozy proportions make it feel more of an enlarged Evoque and not a scaled down Range Rover. 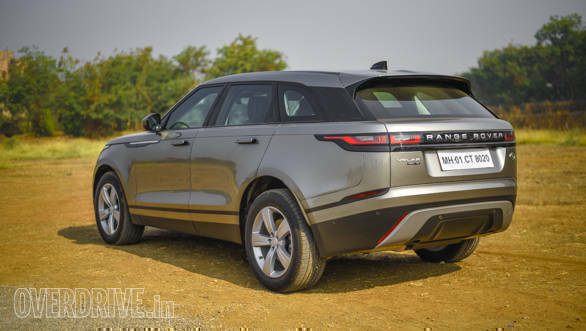 The Velar is powered by JLR's new 2.0l Ingenium petrol engine which makes its Indian market with this vehicle. 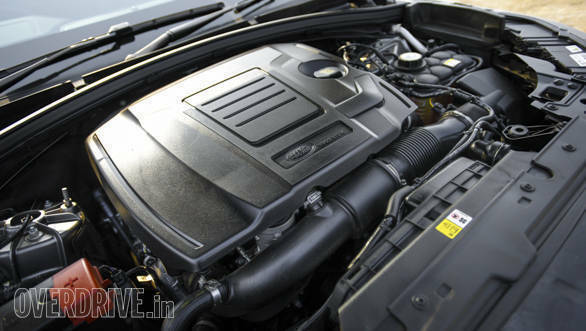 Land Rover offers this engine in two states of tune - 250PS and 300PS. Our car was running the 250PS tune (giving it the P250 moniker) and managed to sprint from zero to 100kmph in 8.1s during our tests. The motor is butter smooth in its operation throughout the rev-range and feels far livelier than what its specs suggest. 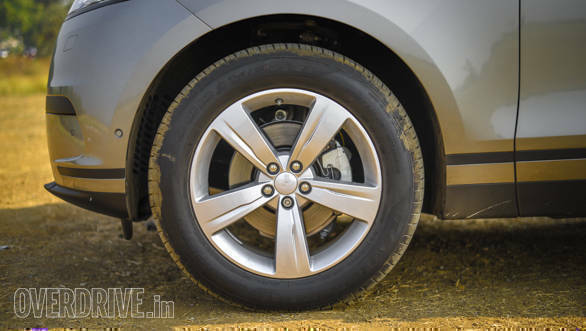 The eight-speed transmission that it comes mated to, complements with equally smooth shifts. 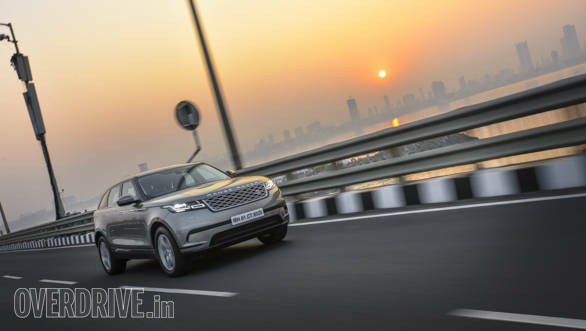 Even in the lower state of tune, the Velar isn't sluggish by any means. It manages to drive well in the city as well as on the highway and the performance masks the two-tonne weight of this crossover quite well. It does miss out on the aural drama that one would expect with a petrol powered Land Rover, but pleasantly surprises with good fuel economy, and also lower emissions. Where the Velar has an upper hand over its leaping Jaguar cousin is with its ability to go further off the road. It pulls the Terrain Response System (Stage 2 is optional) trump card from Land Rover and impressively makes life easy when the going gets tough - allowing you better control when driving over sand, ruts, snow etc. Irrespective of the terrain, the Velar rides very well and imparts a feeling of luxury inside the cabin. It is offered with the choice of the regular coil or air suspension. Choose the coil springs and the ride height remains similar to the F-Pace, at 213mm, but the Velar feels squishier in comparison to the Jag. 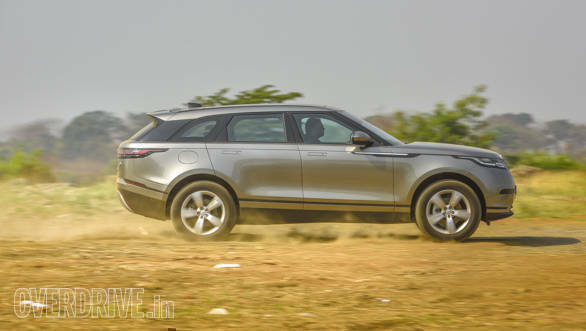 Spec the Velar with the air suspension though and you will get tauter dynamics and better off-road capabilities. Depending on the chosen spec, the Velar has up to 650mm water wading capability, 251mm ground clearance and approach and departure angles of around 29 deg. To put things into perspective, the Range Rover Sport's figures are 850mm, 278mm, 33 deg. and 31 deg. respectively. 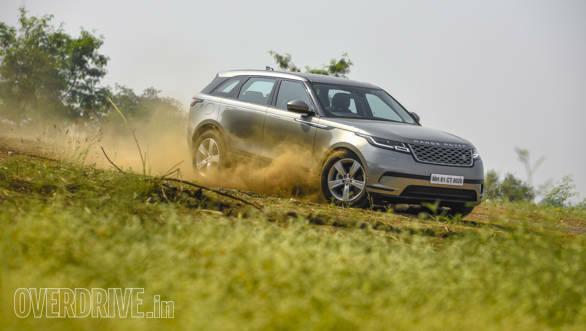 The Range Rover Velar comes with road-biased tyres which are confident on the tarmac and also quite capable on dirt. They complement the progressive braking of the Velar and make it stop well even on gravely terrain. The Velar packs in a full-size spare wheel, which is a big deal in my books and essential for anyone who is into road trips and adventure touring - the two applications that this luxury crossover rates high on its priority list. Land Rover is the go-to SUV for anyone looking for off-road capabilities, especially because many other luxury soft-roaders often shy away from this. 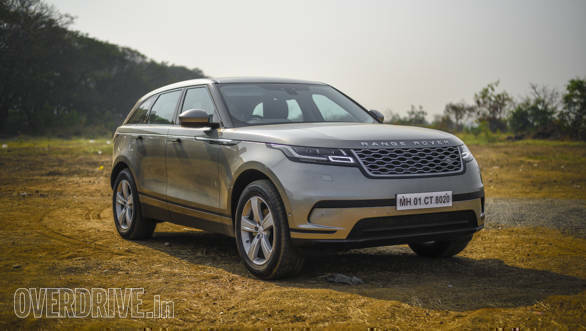 When LR decided to build their derivative of the F-Pace, many of us were worried about its capabilities. Living up to the expectations set by the Range Rover badge on the hood wasn't going to be an easy affair, but the Velar has managed to prove its mettle quite well. It does charge a premium over its rivals like the Audi Q5 and the Jaguar F-Pace, but its actions speak louder than any justification the sales reps can present. In a nutshell, then, this luxury crossover has all the necessary elements to make it the best adventure tourer in its class.